When I was a kid, I loved looking at books about animals and nature. 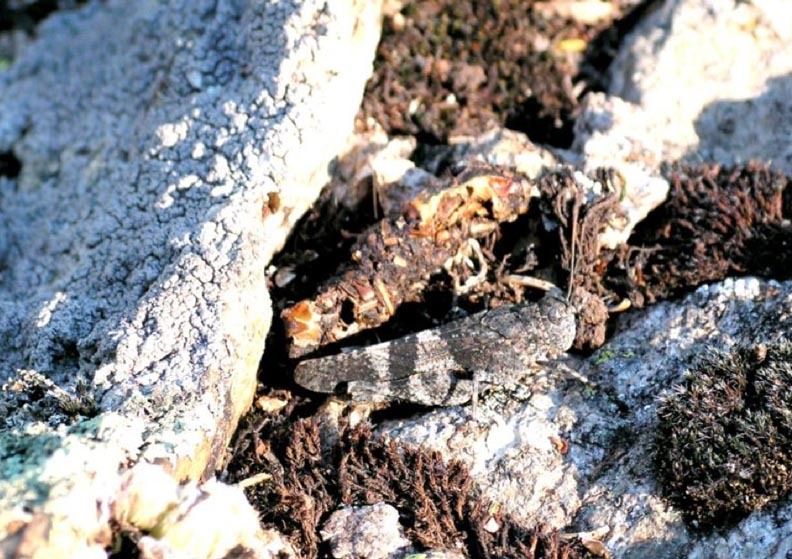 Some of my favorites contained photos of animals that blended in with their surroundings, like caterpillars who looked like sticks or moths who resembled tree bark or grasshoppers who matched the colors of rocks (like this little dude below). 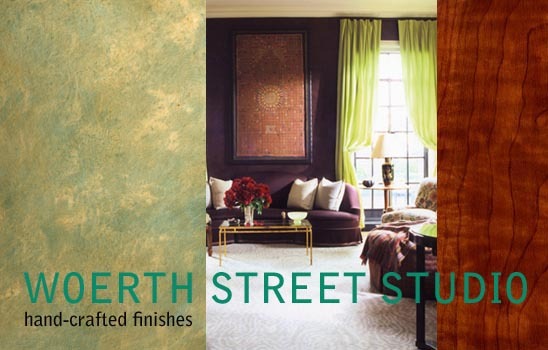 Some of the color matching projects I do remind me of those books. 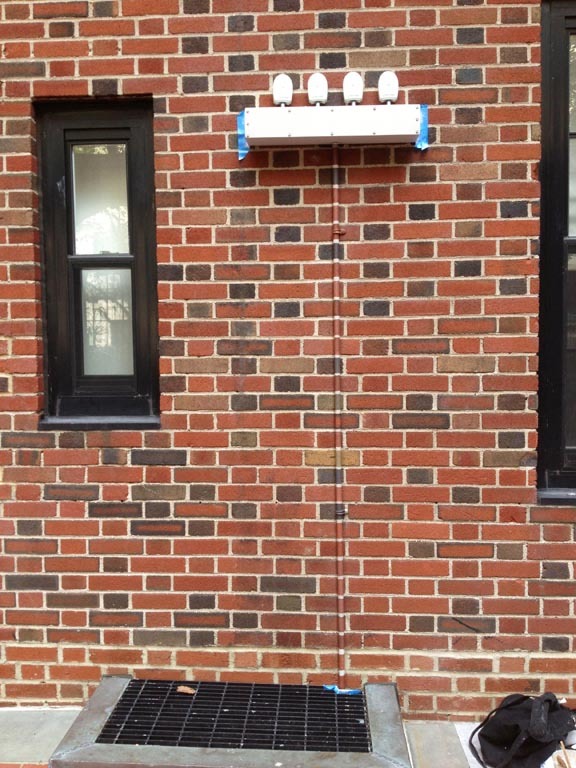 Here’s a fun job that I completed last week, painting a metal contraption in an exterior courtyard to blend in with the brick wall behind it. 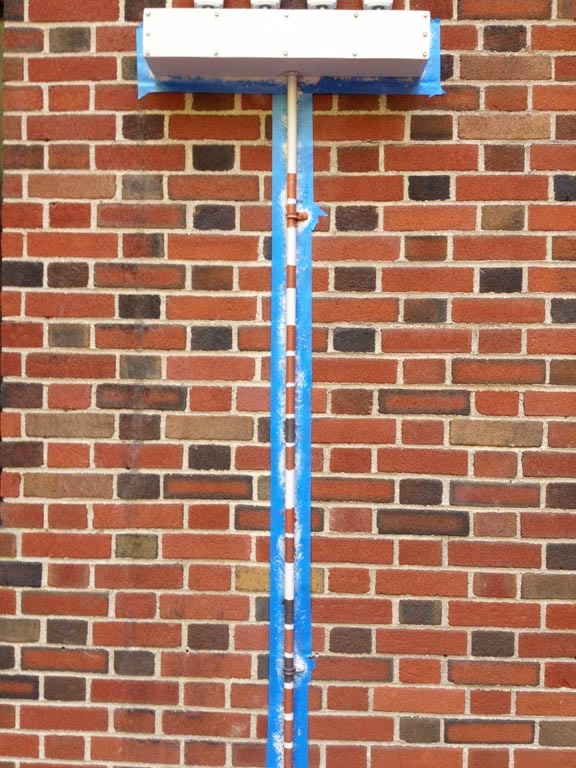 This metal pole supports heat sensors used for a mysterious purpose that I was unable to decipher. Anyway, I used the strongest primer I had to be sure that the paint would stick, and tinted it with universal tints to create each color. Every layer had to be as strong as possible, so only primer was used. 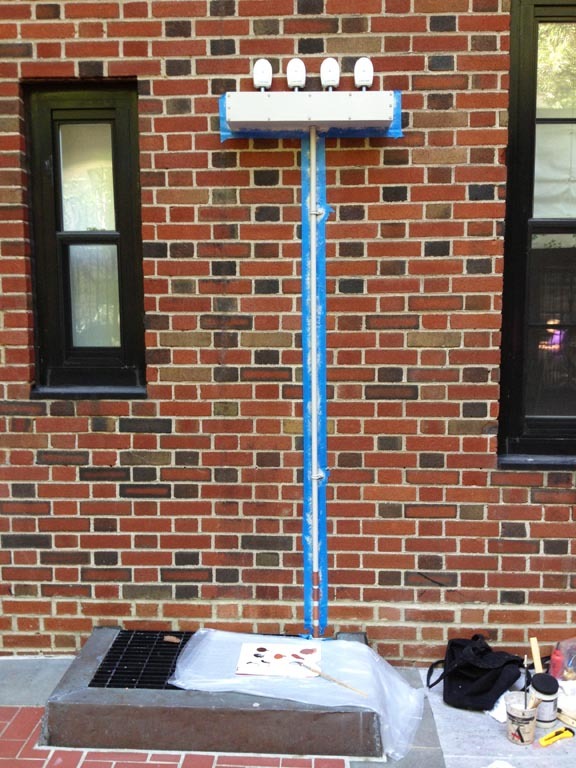 First task, taping off and painting the metal to match the color of the brick’s grout. 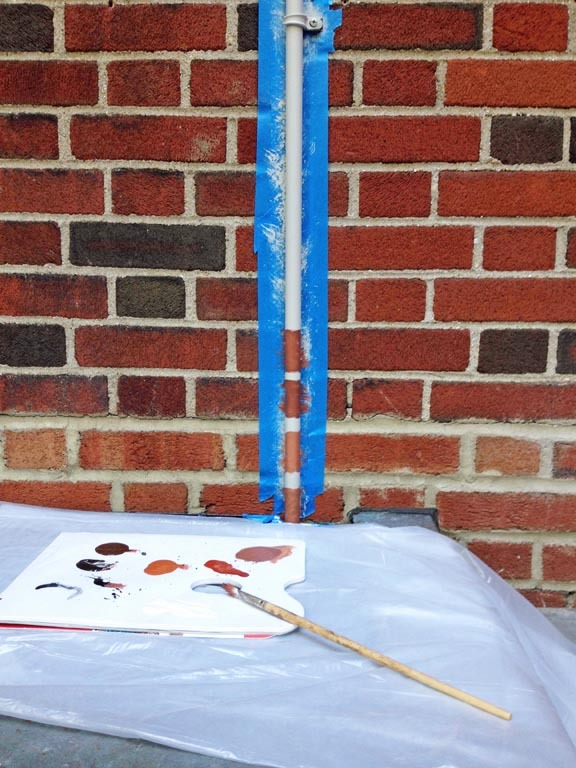 Then it was time to play, bouncing around between the bricks, matching by mixing in venetian red, burnt sienna, raw umber, raw sienna and black. 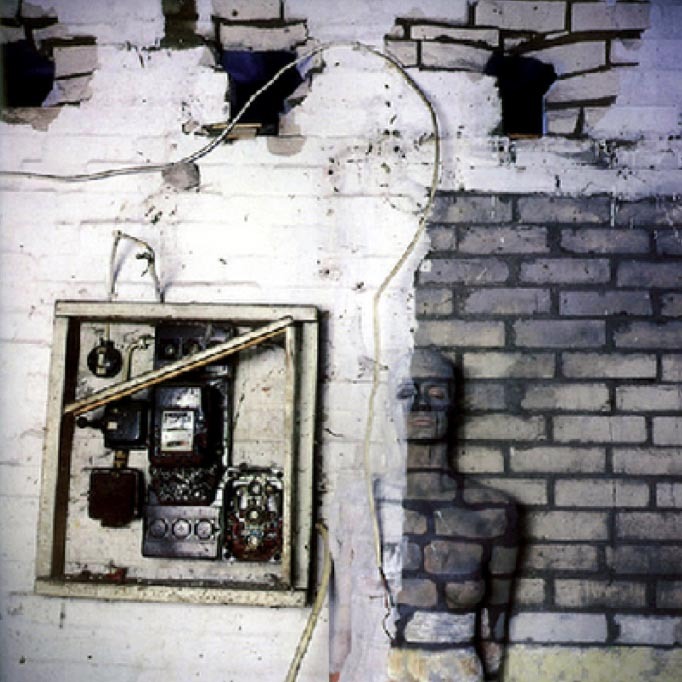 Each brick had three or four layers of paint, pounced on to create texture. 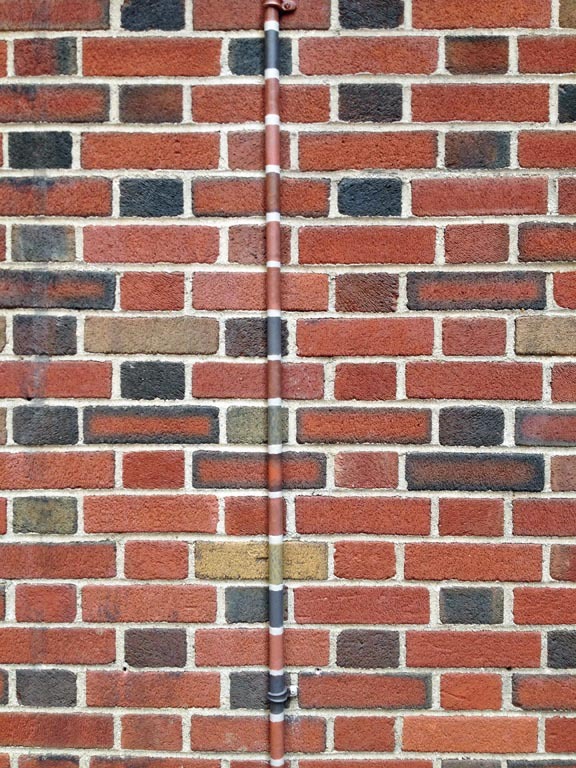 I used a smaller brush to define the edges of each brick, and by lunch time, I’d finished the support. Off came the tape! After lunch, I painted the horizontal box at the top of the pole, then promptly ran out of juice in my phone and couldn’t take the final photo. 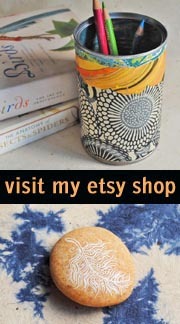 Everything was sealed with an oil-based varnish while crossing my fingers. I can’t guarantee that anything outside will survive winter without cracking, but I try to reduce the chances. To me, the most interesting thing here isn’t the painting, but that this Park Avenue building asked me to do this. 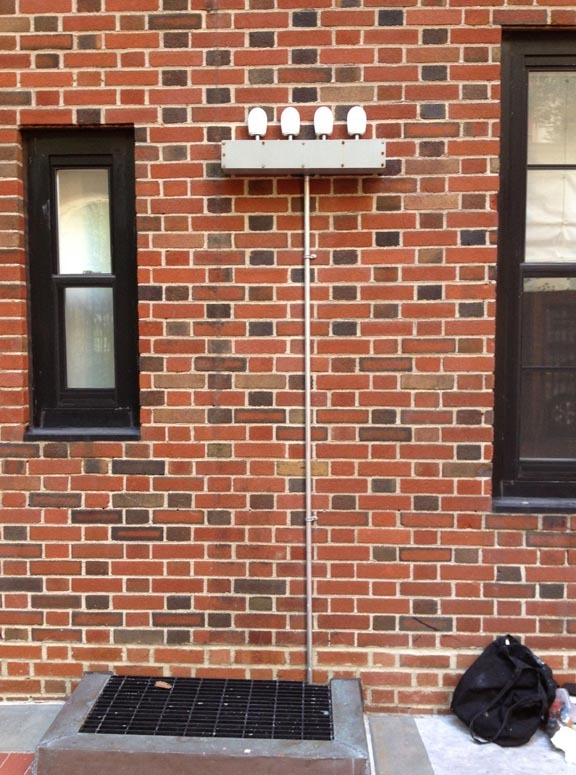 The sensor unit is in an unused courtyard, 25 feet back from the street, around the corner from the entrance. 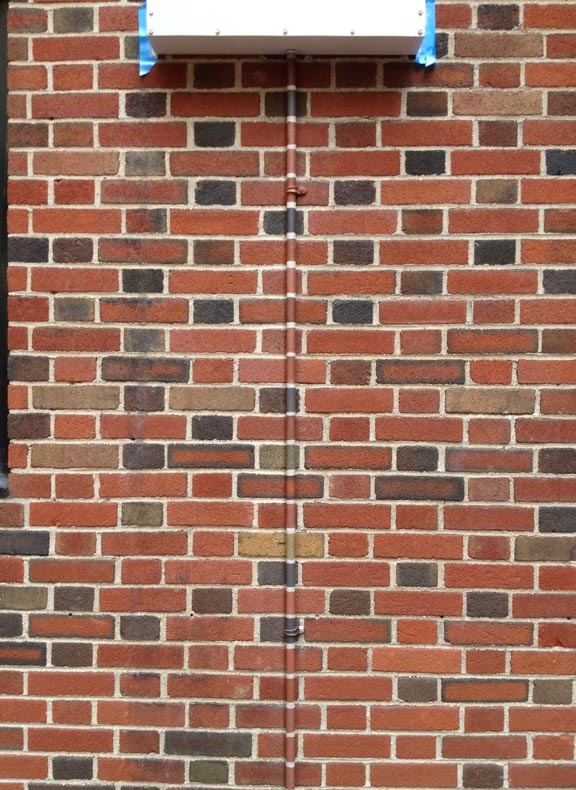 This cosmetic fix was done simply to create the illusion of an unbroken brick facade. No detail too small! To continue the theme, here are a couple of outlet and switch plate covers I completed this year. Painting these covers to match their backgrounds is one of those final touches that makes a room look integrated and perfectly done. 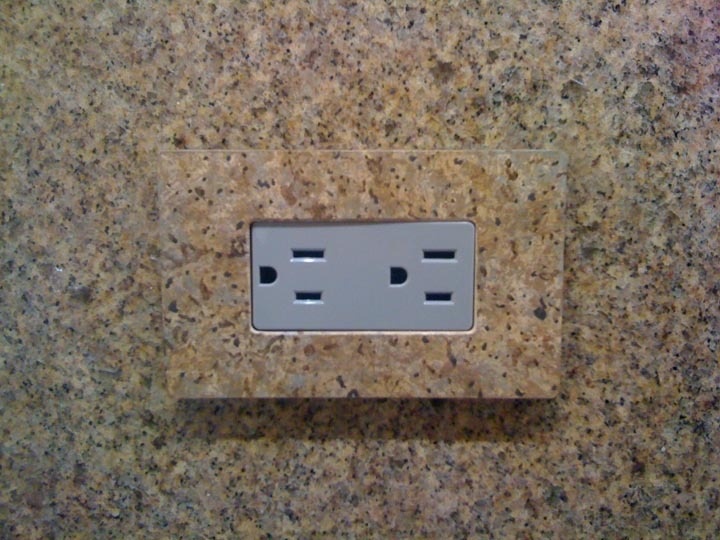 This outlet cover is painted to match granite, one of five in this kitchen. 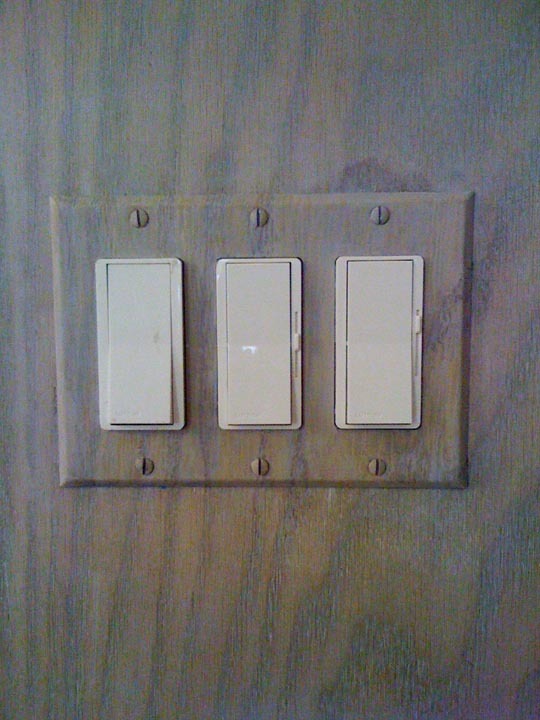 This switch plate is on a wall of bleached and stained oak. I think of these kinds of painting days as mental health days, because although it looks difficult to match wood and stone, it isn’t that hard and is actually relaxing, since I become completely absorbed as I paint each plate. Regardless, almost anyone who sees what I’m doing is impressed that I can match and I’m showered with compliments all day. Not a bad job if you can get it! One of my all-time favorite types of camouflage is body paint. Once I have my files out of storage, it will be time for a feature on the legendary Veruschka, bearer of body paint extraordinaire. Here’s a preview, in keeping with our urban theme. Do you see her? Incredible!